Yes, it’s time for Chasing Amazing to talk about another Amazing Spider-Man Annual. I’ll spare you all the usual rants I make about annual issues and instead dive into my thoughts on Amazing Spider-Man Annual #1 (vol. 3 for those keeping score at home). 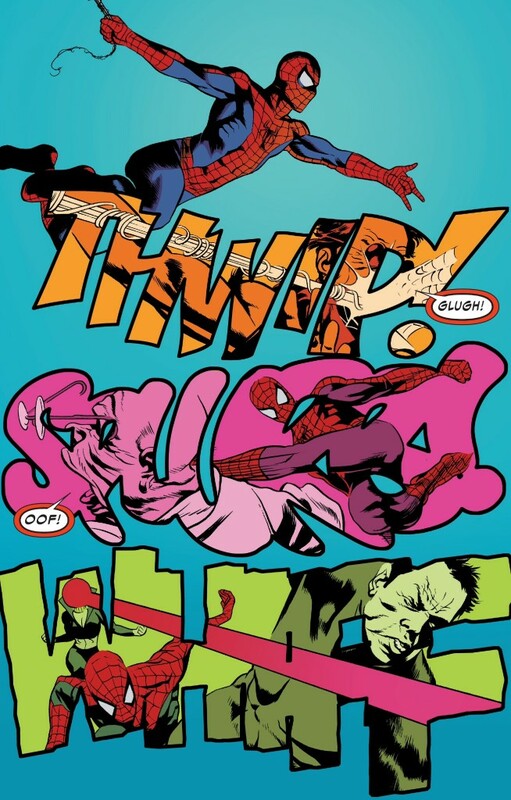 Similar to one of my main criticisms with the Spider-Man and X-Men series debut last week, I don’t fully understand the logic in releasing a stand-alone annual issue smack dab in the middle of “Spider-Verse.” At least with Superior Spider-Man last year and earlier this year, we got two annuals that technically “counted” in terms of the narrative tying into the larger Superior arc (with the second annual actually serving as a self-contained chapter for “Goblin Nation”). But there’s nary a mention of “Spider-Verse” in ASM Annual #1 – no Spider-Hams, Inheritors or Scions. Heck, there’s not even a reference to the fact that it’s been two full years since the last ASM annual because Peter was doing that whole “dead” thing. Instead, Ryan’s “I Can’t Help Myself” is the epitome of an inventory issue, something that, if it wasn’t for all of the smart phone references, I would have thought was written during the Reagan Administration and left to languish without a published home for the three decades that followed. It’s not that Ryan doesn’t have his heart in the right place, but it’s also incredibly difficult to take seriously a story about Spider-Man trying to return a cell phone to a couple of German tourists. 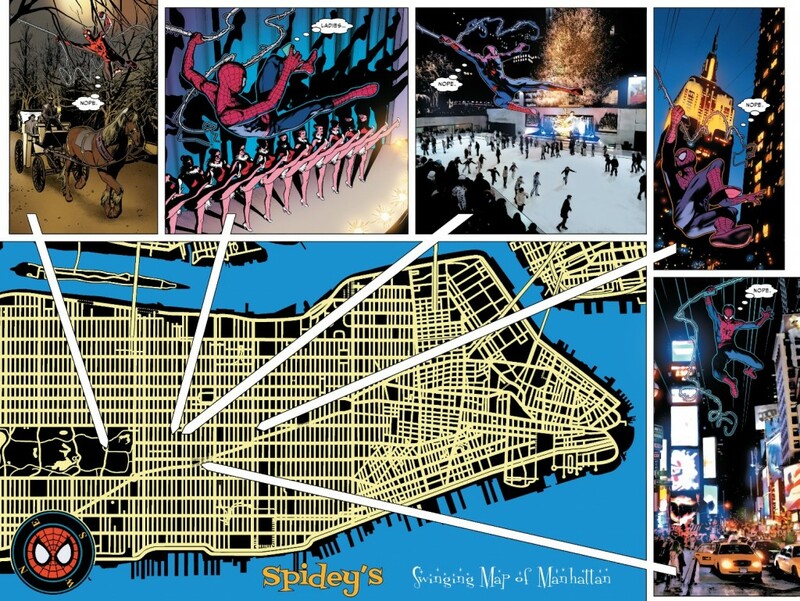 Especially in light of what’s going on in the main Amazing Spider-Man book right now with “Spider-Verse.” I guess if you’re a New Yorker like me, it’s that time of year where people from all over descend upon the city, mostly in locations like Times Square and Central Park, so there’s some cultural relevance. But there’s a part of me that doubts that the Spider-office thought now was the time to satirize tourist season in New York City. So I will not award myself a “No Prize” for that. 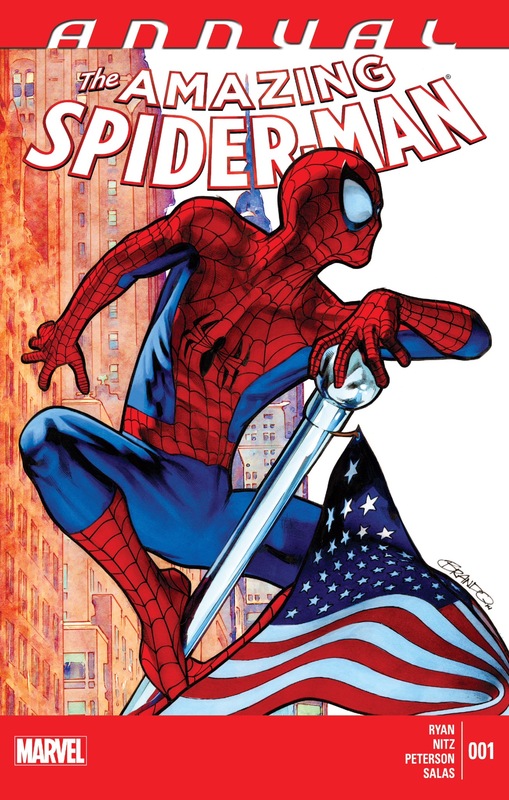 Did we really need a $4.99 comic book to illustrate for the ump-teenth time how compulsively dedicated Spider-Man is to the people of New York City? I love this character and I think “with great power there must also come great responsibility” is one of the all-time great statements in comic books, so I’m always at least moderately engaged when a creator develops a unique application of this mantra. 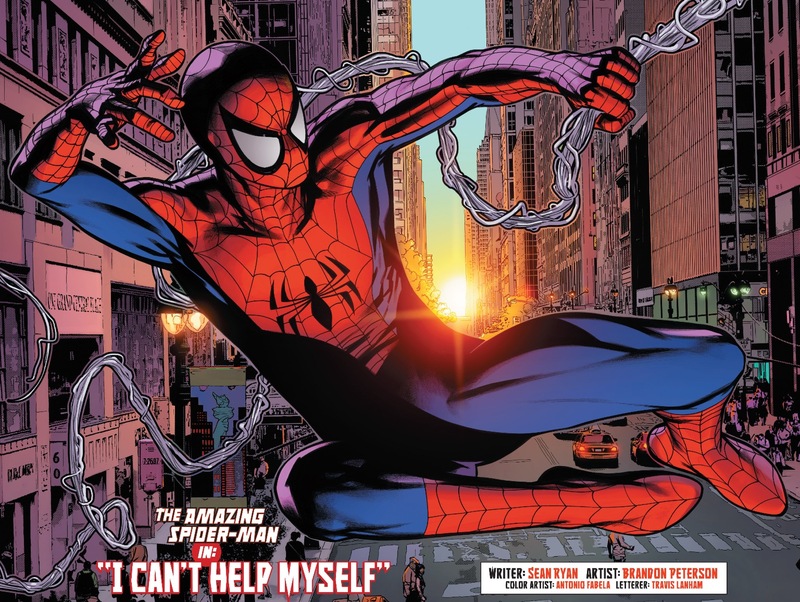 Ultimately “I Can’t Help Myself” is a “B” story masquerading as this comic’s “A” story – a tale that prattles on just a touch too long before it hits its inevitable punchline (Peter’s responsibilities as Spider-Man makes him appear to be irresponsible to folks like Sanjani, when he’s out of costume). I mean, you can try and be as symbolic as you want, it’s still just a story about a lost cell phone. I will add that Peterson’s artwork was interesting and he was definitely trying some fun things out within the issue. On a few occasions, Peterson takes a page of the Jim Steranko school of trippy image making when he superimposes some photos of New York City within his illustrations. Of course when Steranko did it, it was the late 1960s, and thus felt far more daring and outside-the-box, but that’s not to take anything away from Peterson, who also does a more than competent job of providing straight-up pencils and inks of Spider-Man swinging around New York City. The annual’s two “B” stories, are again, your standard inventor fare – one a pictorial-driven Aunt May two-pager and the other, a short Spidey story that with a somewhat eye-rolling punchline (he couldn’t quip when fighting bad guys because he had laryngitis). In other words, nothing that anyone other than the most obsessive Spider-Man fans (like myself) need to go out and buy and read. I would have theorized that boilerplate Spidey fare without the pressing, universe-ending threat of the larger crossover was the point of this issue, except that it was barely a blip on the radar in terms of solicitations.